I wrote about Reunions or Family camps here and here, and promised to say more about youth camps later. I guess today had better be that later, since the first camp starts this Sunday! I am a graduate of the church’s youth camp program, as is my wife and all four of my children. In fact, camp is the place where I first met my wife (but that is another story). These days it is my grandchildren who look forward to going to camp, and are all very excited about it. This year we have three attending Kids Camp, one in Junior High, and one in Senior High. It is a little hard on Grandma and Grandpa’s pocketbook, but well worth every penny. In fact, I suspect it may well be one of the best things we ever do for them. Why are kids so excited about camp? Well, the reasons are many. I suspect the first time they go, it is because their parents encourage them. “Try it, you’ll like it,” and they do! After that, there is generally little coaxing or persuading required. Kids are excited to go back, see their friends, reconnect with the counselors and others who cared for them last year, and generally have a good time. But beyond that, there is a certain feeling at camp. There is a closeness that grows as kids have the opportunity, in a close to nature setting, to get more comfortable with God, others, themselves and the earth. We try our best to make camp a safe, secure environment and provide effective, trained leaders so they can do exactly that. 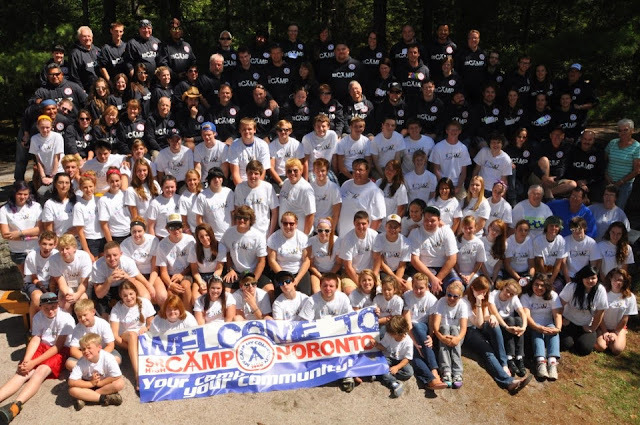 Canada East Mission of Community of Christ sponsors three camps specifically for kids. Kids Camp is held at Ziontario campgrounds for girls and boys age 8 to 11. The dates this year are July 7 – 11. Junior High Camp is also at Ziontario this year, and is for girls and boys from age 12 to 14. The dates this year are July 14 – 20. Senior High Camp is held at Noronto Campgrounds and is for youth aged 15 to 18. This year’s dates are August 17 to 24. But dates and locations don’t tell the real story. The stories are to be found in the joy, hope, love and peace the kids experience at camp. It is witnessed in their smiles and laughter while there, and sometimes in their hugs and tears when they must say good-bye and leave to go home. I wish for every child, that kind or rich experience. Is there someone you know who should be at camp this summer? Is there a child or youth who would benefit from this kind of experience? For more information on any of our camps and reunions, click on cemcamping. Whether your child goes to camp or not, we wish each of them a safe and happy summer.